I imagine you’ve heard the numerous reasons why audiobooks are fantastic for your homeschool. We know that we can listen to the classics on a road trip, enjoy entertaining stories without Mom having to read everything, and kids can independently listen to books beyond their reading level. But, do you ever wish you read more books? When’s the last time you read a book that supported your personal goals? In the car is the the most popular place to listen to audiobooks. Previously, I just listened to the same book as the kids, but after they requested to listen to Dewey the Library Cat for the fifth time, I decided to bring along my ear buds and listen to my own book. Of course, safety first! Don’t ever cover up both ears while you’re driving. Simple ear buds allow you to use one and let the other hang out of the way so you can still hear the traffic around you and your kids. With our mini van, it’s large enough that I can put all the sound for the kids’ CDs to the back speakers to reduce the two layering over one another. Other places to listen? While making dinner, taking a shower, working in the garden, or taking a bath. Bluetooth speakers are pretty inexpensive, too! For the widest selection, and for books you want to listen to again and again, Audible is your best choice. With Audible, you’re purchasing the book to keep, and share, forever. I’ve really liked getting parenting books this way, then burning them to disc for my husband to listen to on his way to work so we’re on the same page. Looking for free downloads of audiobooks? Check your library! They may have a contract with places like Overdrive, Hoopla, Cloud Library, or OneClickdigital. You can also find free classic audiobooks via Librivox. Between these, there are lots of choices for both mom and kids. Now, what to listen to? I’m in the trenches with three kids 6 and under, plus a teenager. I need all the parenting advice I can get. My favorite parenting book so far is No Drama Discipline, especially for highly emotional kids. Two books on my wishlist I can’t wait to get to: Simplicity Parenting and Parenting From the Inside Out. Those don’t jive with your lifestyle? Ask around to like minded moms and find some of their favorites! This mom gig is hard. Yes, parenting books help to give us tools to make it easier, but sometimes we need a book that’s like chatting with a friend. Or sometimes we want to read someone talk about how they’ve been there and done that. My all-time favorite book for moms to remind us of our important role is Gift From the Sea. It was written over 50 years ago, but you wouldn’t know it by how she talks about the chaos and busy life a mom leads. 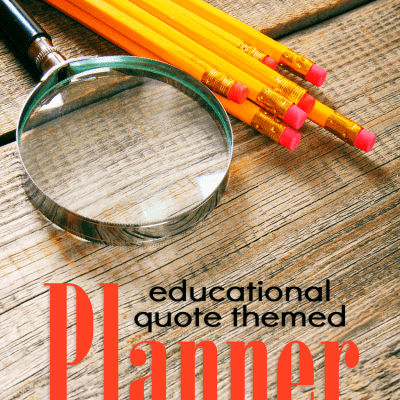 It’s an easy and elegant read with lots of quotes you’d want to hang on your wall. Another book that’s easy to read is Motherhood Realized, a compilation of essays from moms about their journey, and the trials and blessings that come with motherhood. Both books would be great as a book club choice for a group with tired, busy moms. Did you know with an Audible membership you can listen to their channels? Some are similar to podcasts, but you can also listen to summaries from The Washington Post, BBC World News, and other news outlets. You can listen to your news while in the shower, or working out right away in the morning. One of my favorite collections to peruse are The Great Courses. They have a huge selection to learn anything from how to use stocks, gourmet cooking, and mastering mental math. You can find books to help you learn a new language, and a bonus is that you can hear the person saying the words instead of mispronouncing them from a book. Additionally, there are lots of biographies, history books, and science books available in audio format. What a great way to get a primer before starting a challenging subject with your child! Honestly, I feel guilty reading books just for pleasure, but I feel less guilty indulging in a book than I do vegging out to Netflix. Sometimes it’s nice just to take a bubble bath and casually listen to something instead of feeling like you need to pay close attention to every sentence. Also, it can be fun to immerse yourself in a different world, where piles of laundry and dirty dishes don’t exist. We all have different tastes in novels, but as a homeschooling mom, you might specifically enjoy listening to classics, or even some young adult novels. Not all young adult novels need to be trashy or shallow (The Giver is technically in that category, and is a gem). I found that reading some of the books my daughter liked helped me connect with her on her level, at an age when it feels like most teens are drifting from their parents. It gave us something fun to talk about! Do you listen to your own audiobooks? What are some of your favorites? Shannen is a lifelong learner, always studying about faith, holistic health, and homeschooling. She lives with her four daughters and husband in Minnesota. 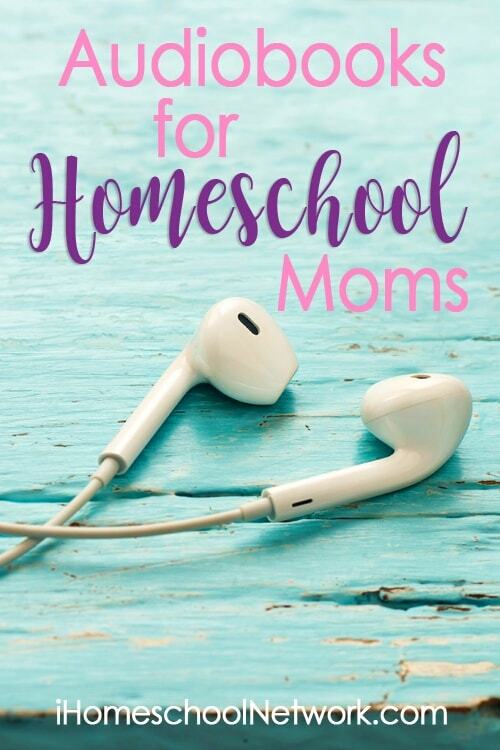 Homeschooling is a passion for Shannen, and she enjoys hosting Homeschooling 101 sessions online and locally, plus sharing the ups and downs, and tips and tricks of homeschooling via her blog, Middle Way Mom. When she's not homeschooling, you can find her taking online classes, reading. knitting, quilting, or otherwise generally avoiding housework.